I have tried very hard to make diamonds look their best on Rapunzel's crown, but we have no reflections so they look dull and lifeless. The solution: a GIF! Here is a series of images, a Blender file and textures to show how it is done, along with some gifs of it in operation. There is zero server lag, and it uses no script time. It's entirely client-side, too. Sweet! 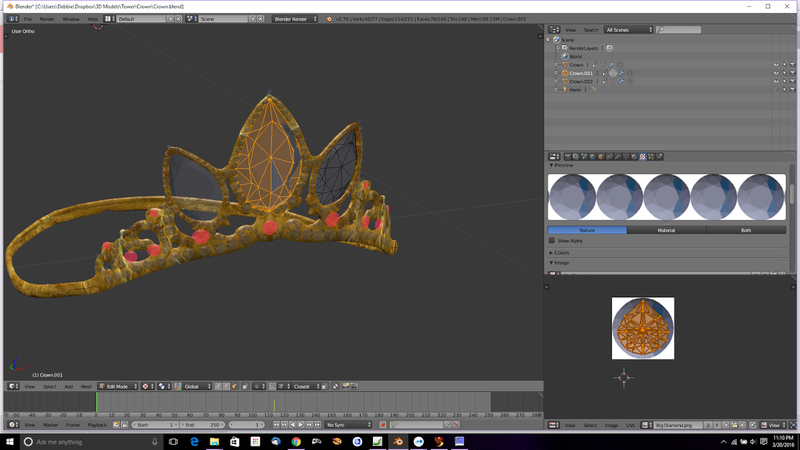 First, get the project files for Rapunzels Crown. The diamonds were unwrapped in Blender with a simple "Project from view bounds" to match a "single diamond" texture. 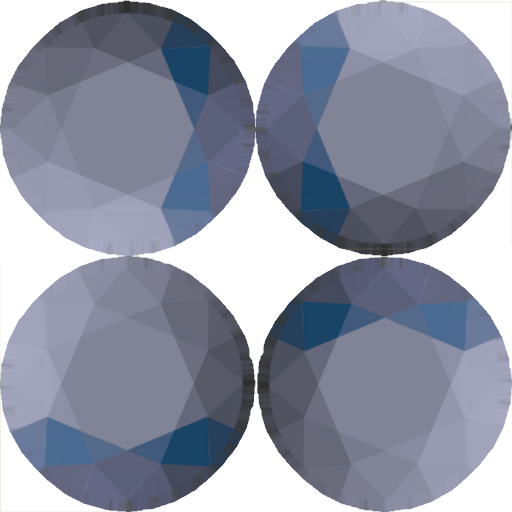 Use the single diamond texture in Blender. Once we have made a diamond shape and applied the UV map to the texture, the DAE is exported and uploaded. 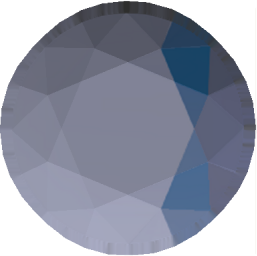 In-world, we use a variant of the single diamond texture. This is a 2X2 texture that has the faces rotated and flipped. 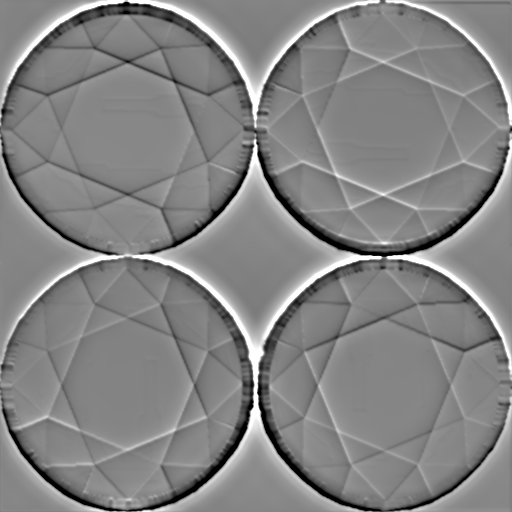 First, I rotated and saved the diamond four times to make four single images, that are then combined into a GIF with PaintShop Pro's Animation Shop. This step can be also done online with any GIF service. That Gif is then converted to this image with Gif2SL.exe. A script will play this texture like a GIF. When combined with a specular map, and set to 50% transparent, it looks much more realistic! Once you have started the script, you can delete the script. It just sets a prim property and is no longer needed after that. You can change the last value (5 frames per second) to make it faster or slower. The 2 and 2 are parameters for the number of rows and columns and the 4 is just 2X2. It's possible to make another texture with more colors, such as a 4X4 for 16 frames, change the numbers to match, and thus have a less repetitive effect. There is a specular map included in the images for the 2X2. I then set both the environment and the glossiness to 100% to get the strongest possible shine.